Voit lukea tämän blogin myös suomeksi. This blog about travelling in China is our present for you. We would also like to take the opportunity to thank all the people who hosted us in Ulan Batar, Nanjing, Fuzhou, Xiamen, Guangzhou, Shunde, and Shenzen. Travelling by train in China is fast and efficient - sometimes even too much so. You can cross the country from North to South, and from West to East in less than two days by express train. We were waiting for a slow, Trans-Siberian -like experience and were surprised by the speed and relatively short distances. On the other hand, we enjoyed Chinese trains most of which are modern and air-conditioned. We didn't have to sweat nor suffer from dust. You can see detailed photos of all train types and classes in the related photo album. Buying tickets is a challenge if you don't speak Chinese, but still only a tiny one compared to Russia. There was almost always some young Chinese guy who could speak a little bit of English and was willing to help us. China suffers from the same language learning stupidity like so many other countries. People are taught grammar and how to write, but not how to speak. What happened to the idea that languages are for communicating with other people, not for showing off with perfect prepositions and postpositions? Well, for some Chinese English is definitely for showing off how cool they are but as a tourist you'll gain from it. Queues in the train stations are huge regardless of the time of the day you go there. In theory, there should be some ticket agents also downtown, but we couldn't find any. In fact, the whole concept of a 'travel agency' didn't ring any bell in locals. We found it easier to go to the railway station and try our luck. Whenever we didn't find any English-speaking help, we showed a paper where we had asked people to write down our destination, ticket type and departure day in Chinese. The buying process was, naturally, slow when it was done this way, and people queuing behind us got sometimes seemingly impatient, especially when we wanted to bargain. Foreigners are usually offered more expensive options so you have to ask especially for the lower fares. Ticket officers are not customer-friendly, but we we were many times treated better than locals. The officers obviously took an interest in two funny-looking illiterates. Travel costs are reasonable. We paid for example 100 € for the two of us in hard-sleeper from Nanning to Beijing with a T-class train. The train crossed almost the whole of the country vertically. There are also cheaper options, soft seats and hard seats. When we crossed the country again, this time horizontally from Tibet to Nanjing, we paid 75 €. The trip was a bit long sitting most of the 46 hours as the train was fully packed, but on the other hand we got a great opportunity to meet both Chinese and Tibetan people. In hard-sleepers people don't socialize that much. Hard seats are thus highly recommended even if you have to endure a little bit of discomfort on the way. Hard seat wagons have regular seats, three on the other side of the corridor and two on the other. If there is space, people usually lie down. Hard-sleeper compartments consist of six bunks in three tiers. At the end of our trip we discovered one major subject of disgust in otherwise comfortable hard sleepers: the sheets are not changed between customers. We learned in our Trans-Siberian trip that the most comfortable way for us is to have one lower bunk and another on top of it. This way we always have a place to sit, drink tea and eat without disturbing others. Some of our Russian travel companions called us Kazakhs as we drink so much tea. Chinese trains also have samovars where there is hot water available at all times. There are dining cars in the trains, but food is ordinary and a bit expensive. We preferred having our own snacks with us. Another reason was that restaurants were all the time closed when we tried to get in. First time was in the morning and it was closed. Second time it was evening and this time we decided to smart and asked what time they open next morning. The final attempt was 7:30 in the next morning and 30 minutes after the conductor has said they will open, and the door was closed the last time. Our American friend managed later to buy some breakfast and got sick, so even if the restaurant is for some reason open you might want to consider other options, like instant noodles that are sold in colourful boxes in every station and most of the shops. That's how locals do it, too.There are also plenty of food vendors in the station with affordable prices so no worries if you run out of food in the middle of the journey. As travel companions, Chinese are helpful and polite excluding the departure and arrival when everybody is rushing in or out. Then you can really feel what it means to be in the most populous country on earth. For former Finns it was a bit claustrophobic. When sitting comfortably in the train, Chinese get curious about foreigners. They always wanted to know where we came from. Conversation was many times quite limited, but a few basic things could be communicated with the aid of a phrasebook. Scenery changes a lot during the travel. The best scenery was undoubtedly when going to Tibet with the brand new Qinghai-Tibetan railway. When crossing the country from the South, the green hills and forests are replaced by gray and dull-looking suburbs. Modern city centres with skyscrapers and neon lights are just a façade as most Chinese live in dilapidated apartment buildings where balconies seem to be falling down any minute. China does a lot of modernization for the Olympics, but unfortunately it seems to be a mere face-lift to impress foreign visitors. We were wondering how much Chinese themselves benefit from the efforts. Santeri was a bit disappointed as we failed to spot the famous rock lines that failed to stop Mongolians from the train window. In Beijing we saw during our three hour stay the great square that is famous for its democratic activities of squashing dissidents with tanks in the name of Heavenly Peace, or was it the name of the square? Anyway, regular life in China was in itself a sight for us with its modern trains and neon lights after living in Cambodia, almost shocked us. Beijing, and the stupid parks and temples with entrance fee everywhere. Chinese are allowed to have one child. If someone fails to comply with the rule, the fine is 2000 € per child. That cost varies depending on the place where one lives. And if you happen to be in high corporate or government position you might also loose your job. However, this is not the whole truth. We imagined in the beginning that it would be preferable to have no child at all, but you actually have to have one. Every woman must have that one child, no matter what she personally wants. The child is needed for taking care of the parents when they are old, and it's also a must for strengthening the family. Man or marriage are not such musts.
. If they really do not have anything to hide any more, why the censorship? Try accessing www.tibet.com or www.wikipedia.org or paivisanteri.blogspot.com in China and you'll see what we mean. 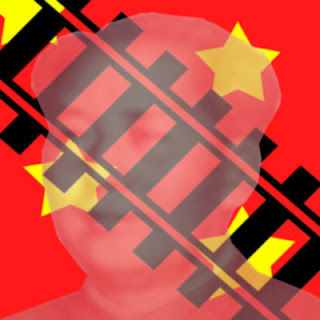 Is China a totalitarian dictatorship trying to hide its true nature, or just run by a government who cannot make up their mind about which opinions are right and which are wrong? China has a Soviet-style registration system for foreigners. Most of the hotels we used didn't do it and we didn't know about this until we dealt with a PSB office (Public Security Office, a sort of police station) for the first time when extending our visa. To get the extension every foreigner has to be registered within 24 hours of arrival in urban areas and within 72 hours in the countryside. If you break the law, you might be fined. If the PSB wants, they can make a big buck with the Olympics as most of the tourists will most certainly fail to do the registration. PSBs are not interested in enforcing the hotels to make the registration or even helping anyone to get the registration. Instead, foreigners are made to run around like it was their fault. As far as the PSB is concerned, nobody asked you to come to China at first place nor wants to have you in the country. Also, every PSB office applies the laws in their own way. For example Fuzhou's PSB wanted us to show them 4000 € in cash to prove that we can support ourselves in China one month. We were wondering if they expect foreigners to live in five-star hotels. Otherwise it is pretty impossible to spend such an amount of money in a country where one month's rent ranges from less than 100 to 750 €. In some other cities only a registration was required, and sometimes one or two photos plus some photocopies. If you decide to travel to China, here is for you a handy travel permit which is valid for the whole of China including Tibet. Just print it out with a colour printer on an A4-sized paper and show it to all officials you meet during your travels. You might also want to show it to someone who speaks Chinese for more detailed advice. Click the picture to get a full-sized document for colourprinting it to an A4 paper. Food is affordable in China, especially fruit and vegetables. Accommodation was more expensive than in Cambodia, but a lot cheaper than in South America or Europe. Rent prices are dirt cheap and average salary levels are accordingly low. There seem to be a wide gap between rich and poor people in China, which is not necessarily a bad thing. Middle class is slowly developing. Entrepreneurs are not seen as criminals promoting inequality and destabilizing society like in Finland. Chinese people feel uncertainty and avoid long-term commitments because they mistrust the laws and the way they tend to change. However, that's nothing compared to USA where the laws seem to be worth less than the paper they are printed on. Spitting is considered quite OK in China. Sometimes they seem to do it to show disrespect or to look in some strange way cool. It's not uncommon to do it inside, too, or in trains or buses. For us it made the country feel a bit dirty. The idea of putting your backpack on the ground or even sitting on the grass in park felt disgusting. It's funny how such little things can make big difference and the whole country feel filthy. Our Chinese friends told us that spitting is considered a bad manner, but that does not stop people from doing it. China is actively building an environmentally-friendly image. You can see rubbish bins everywhere with two sections: recyclable and non-recyclable. However, if you hang around you will soon discover that both sections are emptied to one bin and the trash is merrily mixed up. In shops things are also quite often packed with plastic in singles, even potato chips. Plastic bags are taken and thrown away without much consideration. China will sink into garbage in the next years, if things won't change. We recommend China for travelling and long-stay, especially if you love eating noodles or enjoy cooking by yourself, love big cities and feel at home in crowds. At this time travelling in China is great as China does not suffer from Christmas mania. But because of the minor setbacks spelled out in this story the country did not make into our Global top 3 list. According to our Korean friends, the Olympics changed Korea and we sincerely hope to see the similar progress in China, too, in the years to come. Happy travels in China! See also our blog about the Trans-Siberian railway experiences last year. There are more stories from China about Hohhot (Huhehaote), Tibet, Nanjing, and Fuzhou. Hope you enjoyed your present! Now you can use your "OpenID," from services such as WordPress.com, LiveJournal, and AOL Journals, or with your AOL/AIM account, to comment on Blogger blogs.Read how it works here.